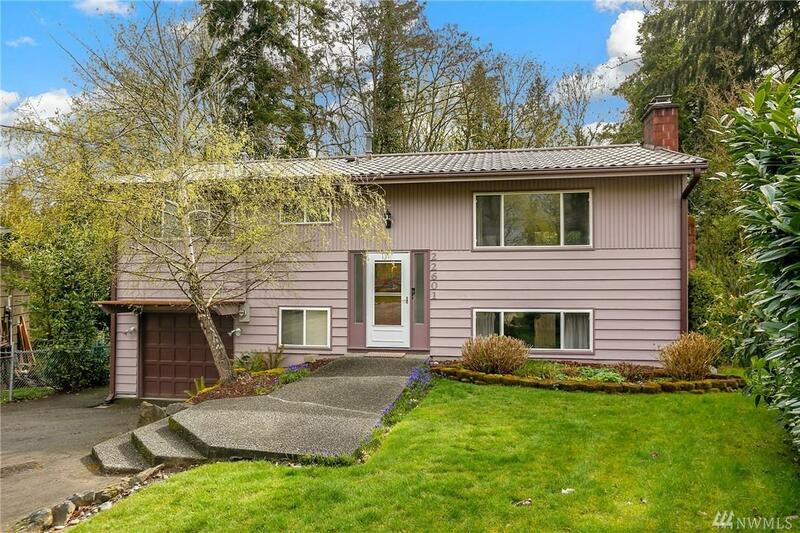 Meticulously maintained 3 bdrm Mountlake Terrace home. 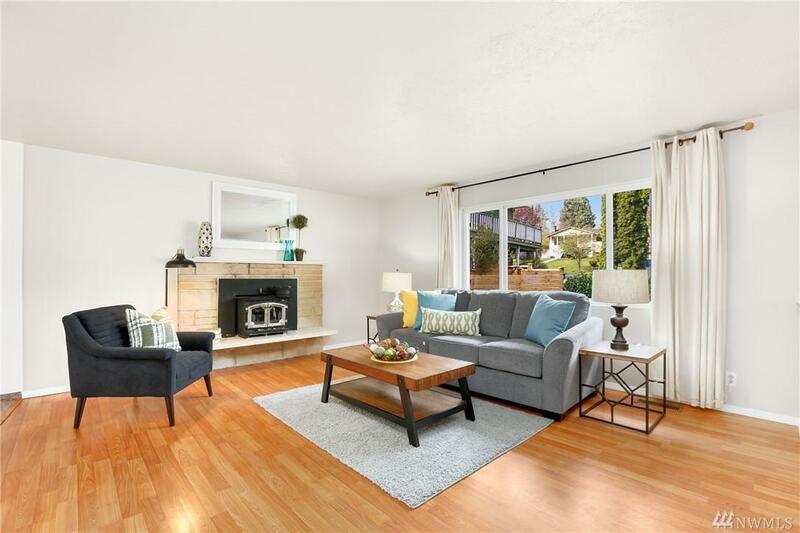 Make new memories in spacious living rm w/cozy wood fp & pergo flooring. 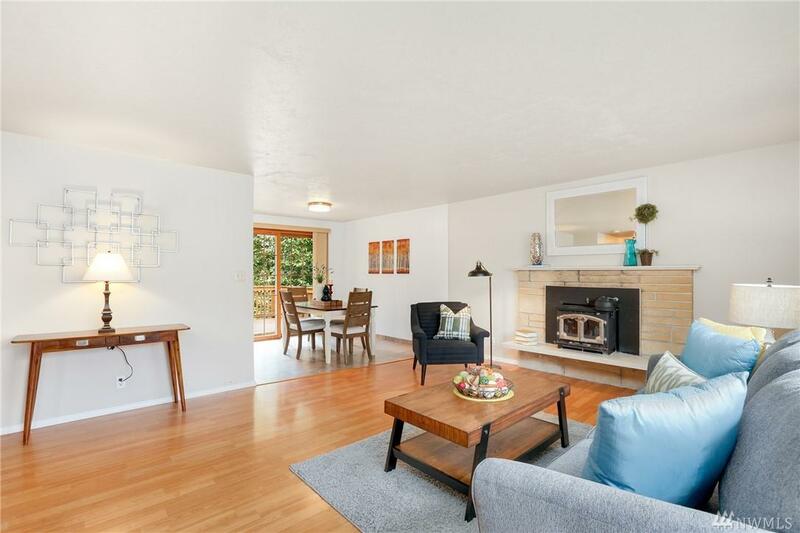 Light & bright remodeled kitchen w/dining area that opens to lovely trex style deck & bkyd. 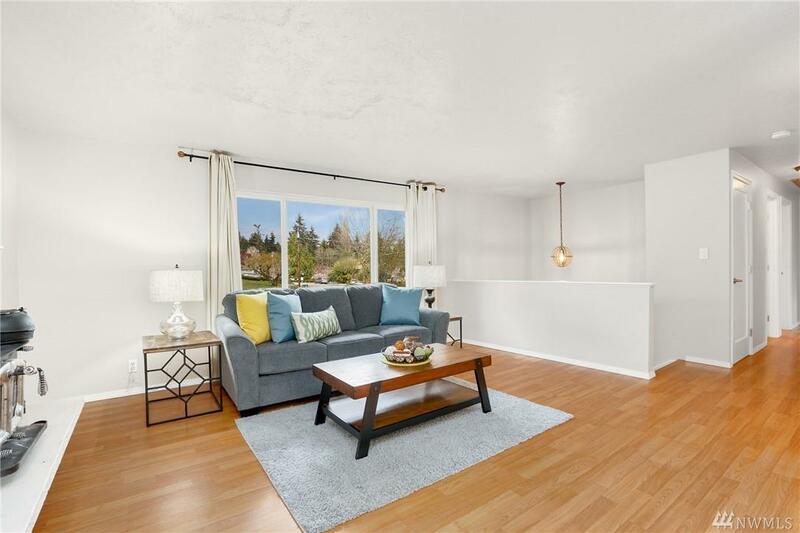 Spacious downstairs living area w/new vinyl floors & 2nd kitchen. Add'l highlights include fully fenced backyard that backs to greenspace, metal roof w/30 yrs left, lots of storage, updated windows, new gas furnace, new water heater, newer sewer lines, 1 car gar. w/opener & W/D.